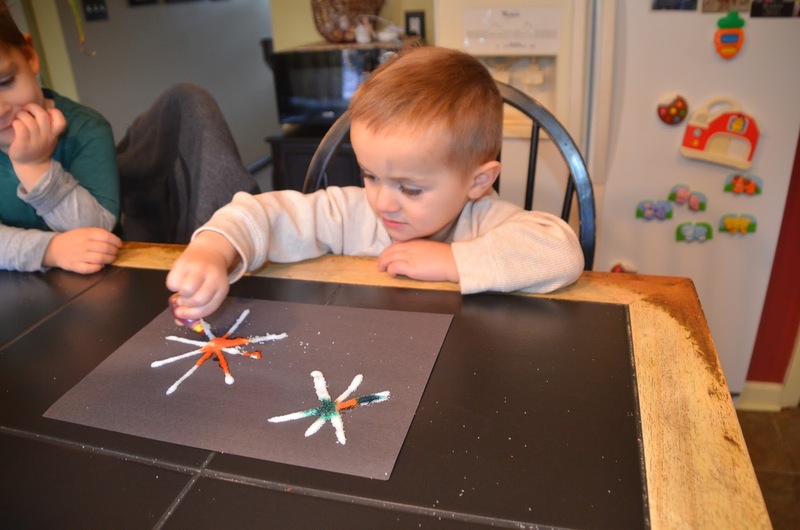 In spirit of New Years Eve we decided to make fireworks. 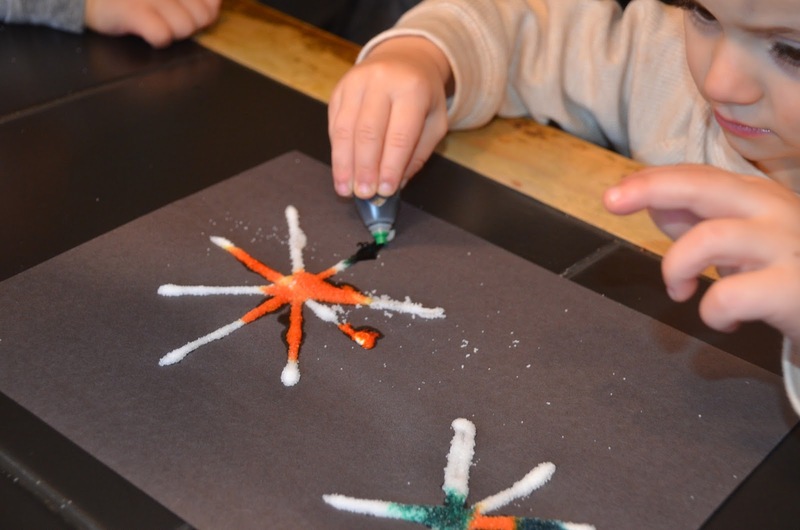 We used the glue to draw firework shapes on the black and white paper before covering them in salt and then shaking off the excess very gently. 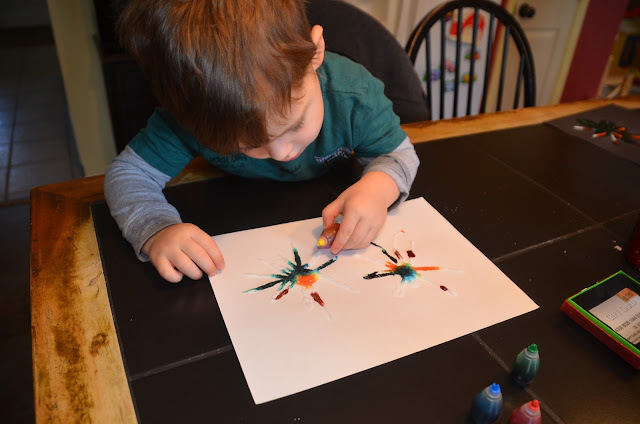 Then used food coloring, but the artwork came out too dark. Next time I will use water colors. Even so, the salt almost glistens like real fireworks. 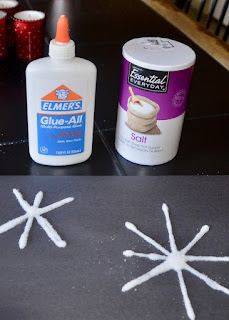 Salt art is so much fun to make, but beware, it really is more about the process of the art, as when it dries it will fall off. 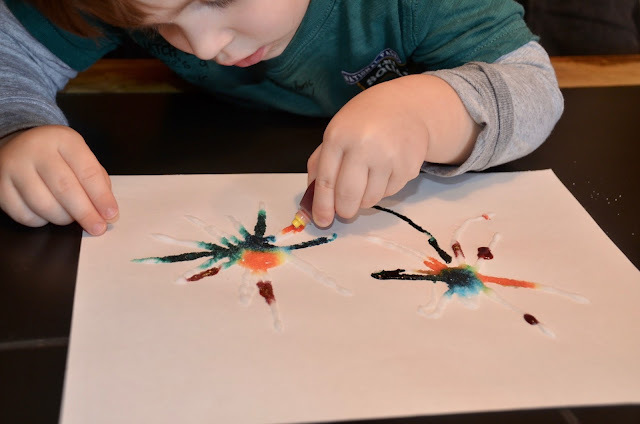 You will need: salt, glue, black and white paper, food coloring or water colors. 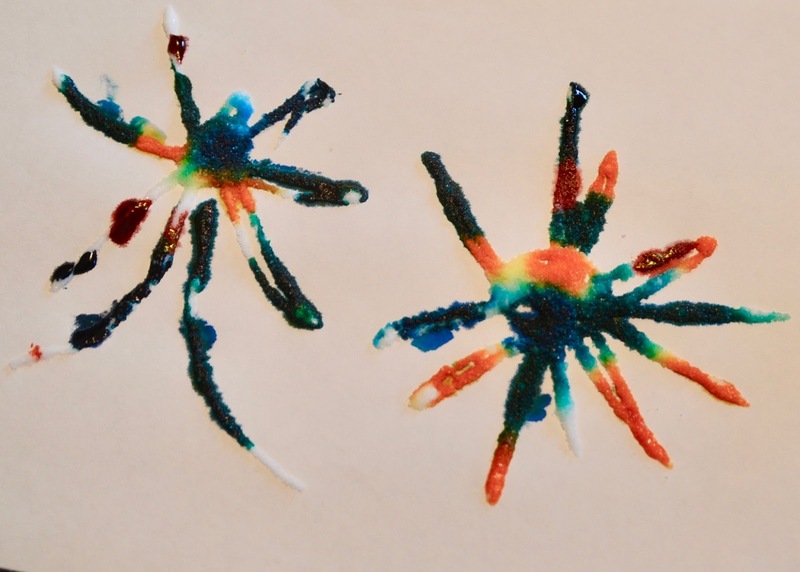 You'll also need droppers if you decide to use water colors.